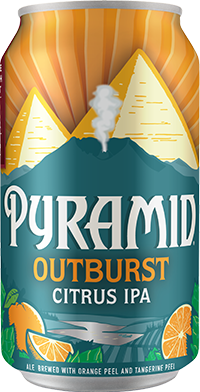 Outburst Citrus | Pyramid Brewing Co. Some may say you can’t improve upon perfection, but maybe that’s because they just didn’t try hard enough. We tried with Outburst and we believe we came up with a recipe that might just be better than the original. 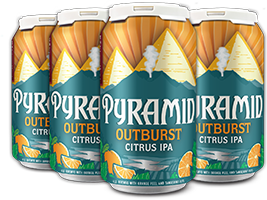 Citrus Outburst has all the big hop flavor you love, but with the perfect amount of orange and tangerine peel added into the mix. Still big, still mouth wateringly hoppy, and now with a tasty, aromatic, citrusy punch that your taste buds will love.